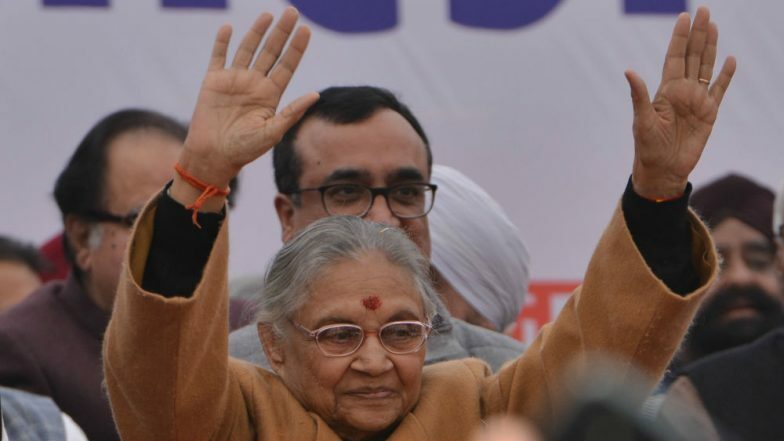 New Delhi, April 16: Former Delhi chief minister and Congress veteran could be announced as the party candidate from the East Delhi constituency, said reports on Tuesday. Party insiders claim that Dikshit, who has been the CM for 15 years, is among the best picks for the party to wrest the parliamentary seat from the BJP in the upcoming Lok Sabha elections 2019. The East Delhi seat is currently held by BJP leader Maheish Girri. Dikshit's son Sandeep Diskhit, a former Lok Sabha and Rajya Sabha MP, had lost from the constituency in 2014. The likely-decision of fielding Dikshit comes amid uncertainty over the AAP-Congress alliance. Arvind Kejriwal vs Rahul Gandhi Erupts on Twitter as AAP-Congress Alliance Bid Hits Roadblock.